Whew March was a crazy one. We have 4 birthdays smooshed into a few weeks and every March I feel like I make birthday cakes for a living! In between birthdays I spent a week teaching quilting on a cruise with Sitchin’ Heaven in the Caribbean. It was SO MUCH FUN. 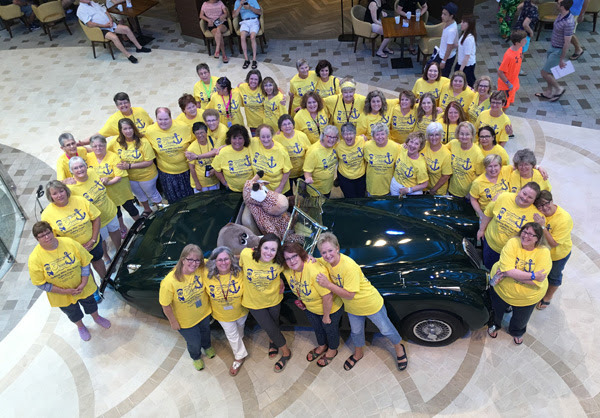 We had such a fun, laid back group of ladies and I really loved getting to spend time with them. Teaching on a cruise was WAY out of my comfort zone and I was a little nervous about it for a year after I said yes…but I’m so glad I said yes. It was a long time to be away from my babies though…10 nights! I taught my Dixie quilt...which still needs to be finished and ironed since it was packed in my suitcase. Wilson (the cat) is unimpressed. He tolerates me trying to cuddle and love him. 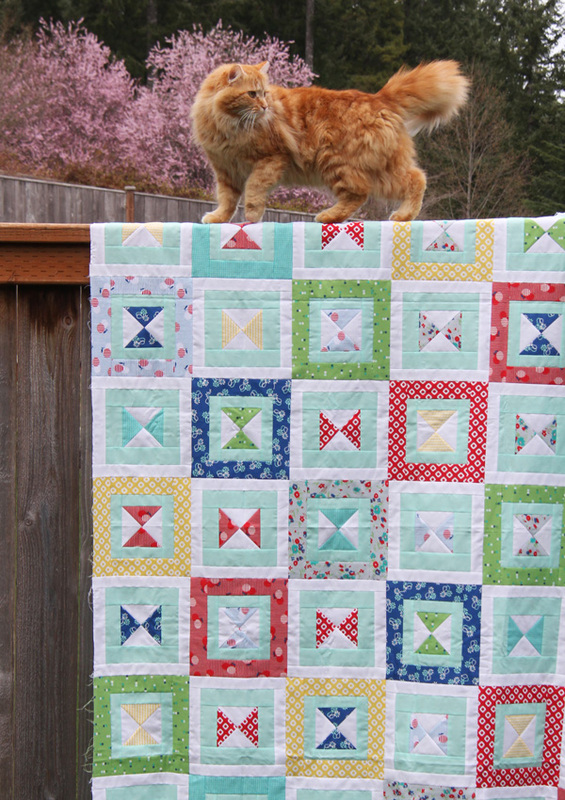 Wilson is very handsome and looks fabulous on your quilt top! You did have a super busy month! Your children are so cute. So glad you had a wonderful time teaching on your cruise. Love the quilt top you taught – gorgeous! What a crazy wonderful month for you! The birthday cakes look delicious, Wilson is very handsome, and I just might have to go on a quilting cruise now. You’re pretty amazing! What an exciting month! Your kids are adorable! and i love the quilts (especially the one behind your table). I feel your birthday month angst – 😊 Among my 6 siblings, 4 of us were born in January. My poor parents! The month after Christmas! In my household we have 3 March birthdays in 6 days. Between friend birthday parties and family birthday parties we were “caked out” so started just doing the dessert of the birthday kid’s choice. We’ve had sundae bars, fruit pizzas, tarts, eclair cake, and traditional cakes along with countless others. My son just turned 25 and his favorite has always been dirt cake – in a designated plastic flower pot complete with worms! Enjoy! I took a quilt cruise years ago with Stitchin Heaven. 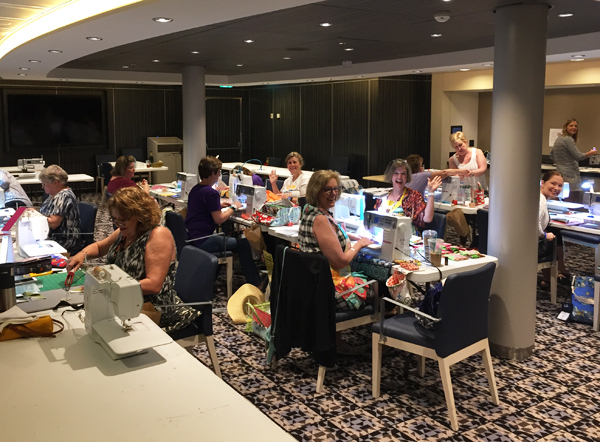 We had Moda Lissa onboard and teachers were Edyta Sitar, Sandy Klopp and Lynne Hagmeier. They were great but the only project I finished was Edyta’s. Don’t think I’d do one again as I always felt like I should be doing other stuff on the ship (we were on the new, beautiful Oasis of the Seas!!). You are amazing………….love the Dixie Quilt ! 10 days is a really long cruise and I don’t know if I could do a quilting cruise for that long. I love cruising with 11 cruises under my belt but there are some many other things I would want to do in those 10 days besides cruising. I do want to try a quilting cruise but 7 days would be my max. Glad you have a great time. A quilting cruise sounds like fun! That was a long time to be away from the family! That is not an unimpressed cat… he is wondering when it will be finished and ready for him to lie on! Lovely quilt I like the colour scheme. 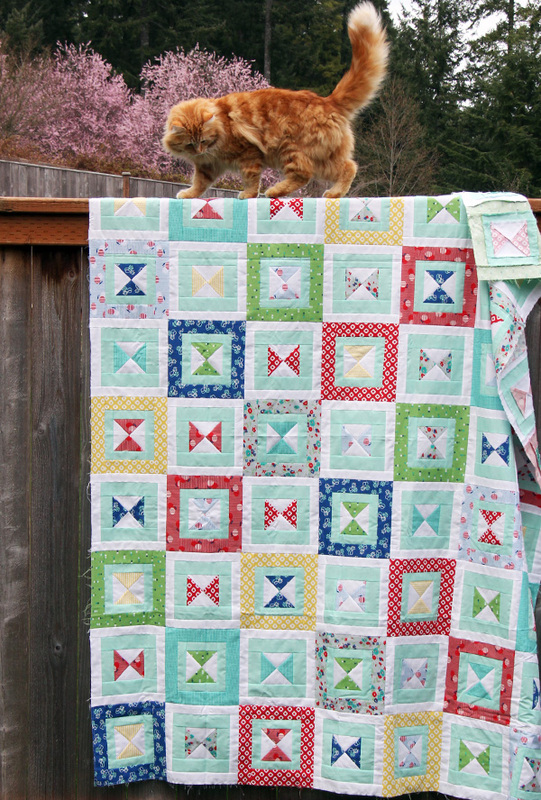 Very cute quilt, but the kitty is beautiful too. Wilson….Dakota, our cat. You won’t believe this but I have a cat that is the exact look-alike of yours! I wish I could post a picture. They are twins!